Tight shut-off is obtained by means of metal-to-metal sealing between the disc and the seat. This sealing is not affected by erosion and deformation of material (like with a soft seal). The stability of a compressor system during startup benefits from a low cracking pressure. This is achieved with a large disc that has identical effective pressure areas on both sides (line contact sealing). The low static pressure in the venturi-shaped throat area creates a pressure differential over the disc, resulting in easy opening. The axial check valve responds smoothly to changes in flow and remains stable when it is supposed to be. 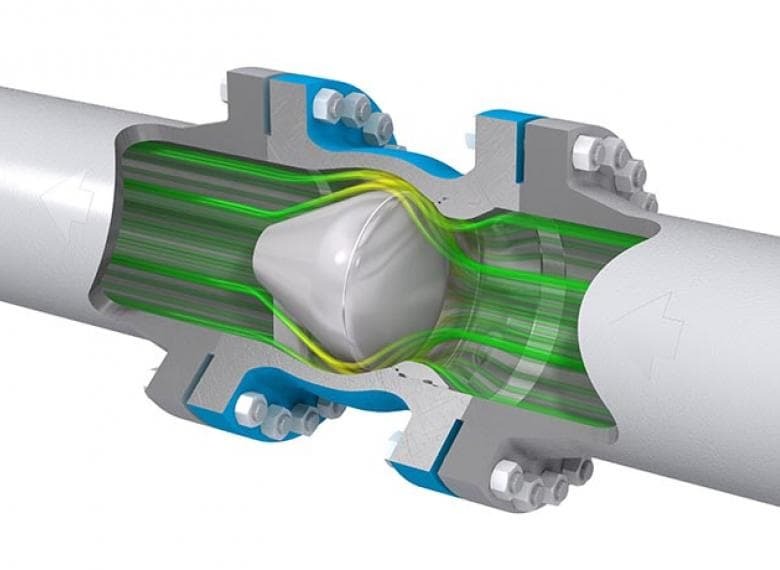 The spring-assisted design ensures ultra-fast closing with virtually no backflow and pressure surges in critical applications such as multi-pump systems or LNG trains. Internal construction is based on the application of sound basic mechanical engineering principles. Consequently, Mokveld axial check valves do not require any maintenance. Both the pressure drop and the dynamic behaviour can be predicted with great accuracy, based on full-scale laboratory flow tests and a mathematical model developed in cooperation with a recognized fluid hydraulics laboratory. Mokveld and Delft Hydraulics Laboratory together developed the ‘dimensionless dynamic characteristic’ in 1986, as the mathematical model of the behaviour of non-return valves. With this Mokveld contributed to the theoretical foundation for the understanding and application of non-slam check valves. Today this theory still stands, with the ‘dimensionless dynamic characteristic’ being used in transient simulation software packages, for the hydraulic design and optimisation of pipeline systems. Fire-safe, cryogenic (LNG) and subsea design. LNG train operators put the highest priority on production availability for a steady supply of LNG to meet the long term supply contracts (and prevent the high fines in case deliveries are delayed). To obtain this production availability the most reliable equipment for critical components is preferred. 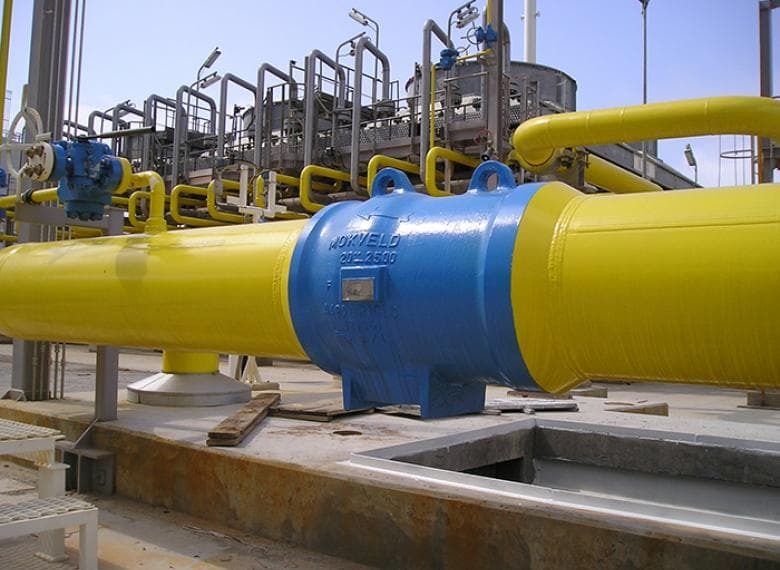 Non slam check valves are critical for the LNG process and Mokveld’s Non Slam Axial flow check valves are applied in most world class LNG trains. 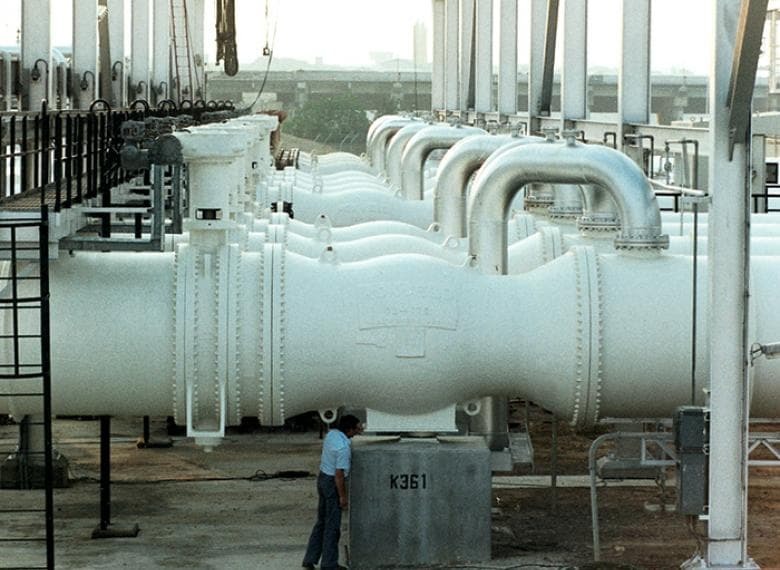 In the LNG process the compressor train and cooling systems account for the biggest energy consumption. Therefore it is essential to minimize the pressure loss in the compressor trains and cooling water processes. The check valve selection and sizing is essential. Mokveld Axial flow check valves are characterized by their large flow area and high pressure recovery design. Therefore Mokveld check valves offer the lowest pressure loss on the market. Mokveld provides an application specific valve sizing with pressure drop calculation for every valve, guaranteeing the lowest pressure loss and stable operation.